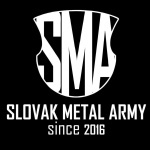 Produced, recorded and mixed at SPK audio studio, Badín – Banská Bystrica, Slovakia. Arranged by Bloody Redemption, with invaluable studio assistance by Miro Spevák. Cover artwork and logo by Adam Šluch – Old Skull Artworks. Photography by Ján Poliak – Jaňík Foto. All music and lyrics by Martin Fodor and Jozef Kováč.